With so much written about Leo Frank in the last hundred years being lopsided on his behalf, neutral books about the Frank trial (and its aftermath) are extremely rare and offer the best place to learn about the case. Can You Shut Off Your Emotions, Become a Dispassionate Researcher, and Join the Jury? Alas, there is a real dearth of dispassionate researchers who write on the subject of Leo M. Frank, as most contemporary and modern books, articles, and videos on the subject, produced over numerous decades, tend to provide no new, original, or insightful analysis, but instead, just rehash, retell, and rewrite other writers’ works, spinning and re-elaborating them in their own way, but ultimately taking the exact same uniform political-social positions, bias on behalf of Leo Frank. These collected secondary sources on behalf of Leo Frank have created a kind of democratic illusion that it is widely believed the Leo Frank trial was a miscarriage of justice. This is unfortunate, as most people will never take the time to study the primary sources of the case and come to their own conclusions. It is the mission and desire of this website that people study both the original primary sources and secondary sources, with the purpose that they reason things out and come to their own conclusions regardless of whether they arrive at the outcome of innocent or guilty. Fortunately, the Leo Frank Case and Trial Research Library intends to not only create an archive presenting both sides of the Leo Frank trial, but also, to offer the Internet community a chance to produce and publish more detailed analysis of the facts and evidence of the case. Check back often, this research library and archive is updated on a weekly and monthly basis. We welcome guest writers to publish their own works and research on the subject of Leo Frank and Mary Phagan. Contact us if you would like us to add anything to the library. We welcome all three sides of the Leo Frank Case: (1) prosecution, (2) defense, and (3) neutral. The goal is not just to be impartial and consider the different sides of the case as the judge and jury, but also to be able to argue for the prosecution and defense team positions in a superb manner. In this, we believe, the greatest depth and understanding of the trial is attained. The Leo Frank case has become a cause celebre amongst the International Jewish community within its entire political spectrum, and for non-Jews, it has mostly become a cause of the left against judicial and racial injustice. Together this political alliance of the Jewish community and the non-Jewish left has created an illusory popular-culture majority position on the Leo Frank case. Jews have written the lion’s share of secondary sources about the Leo Frank case. What the Jews have really done is simply rewrite, rehash, and retell each other’s works. Now they have computer programs that can do this same kind of rewriting, called spinners. 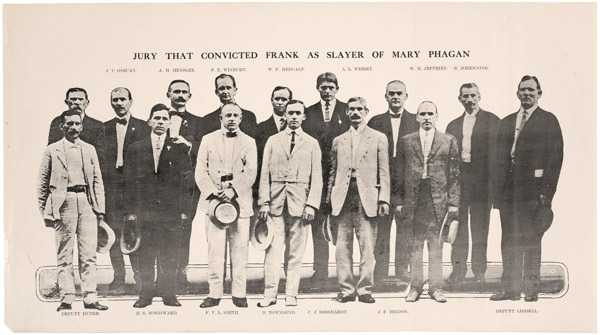 For those who study the Leo Frank case, if one were to take the entire collection of works on the subject in modern, contemporary, or historical times, that is to say, from 1913 to the present, the position taken is nearly unanimously on behalf of Leo Frank, and it is of the opinion Frank was innocent and railroaded in a vast anti-Jewish and anti-Semitic conspiracy. The evidence of this emotional position is based on biased interpretation, rumors, and false information, which does not stand up to minimal scrutiny and is unconvincing after one studies the original trial testimony and evidence. There are, however, a few rare works that tend to be neutral on the subject and provide an objective review of the Leo Frank case. These works should be carefully studied because they provide the best analysis on the Leo Frank case and provide the most honest review of the facts, evidence, and testimony (what really happened?) concerning the subject of who murdered Mary Phagan. These books are important to study, unless one wants to take the time and read the original trial brief of evidence to make their own conclusions (which one should do!). Listed below are books that tend to be neutral on the subject of the Leo Frank trial and attempt to present both sides of the case with some degree of objective fairness. Only a few books strive to be neutral on the Leo Frank case. All the other books besides these rare works, either take sides, feign neutrality on some level, or make no serious effort to present both sides of the case. The first neutral book on the Leo Frank case was also the first book written on the subject. 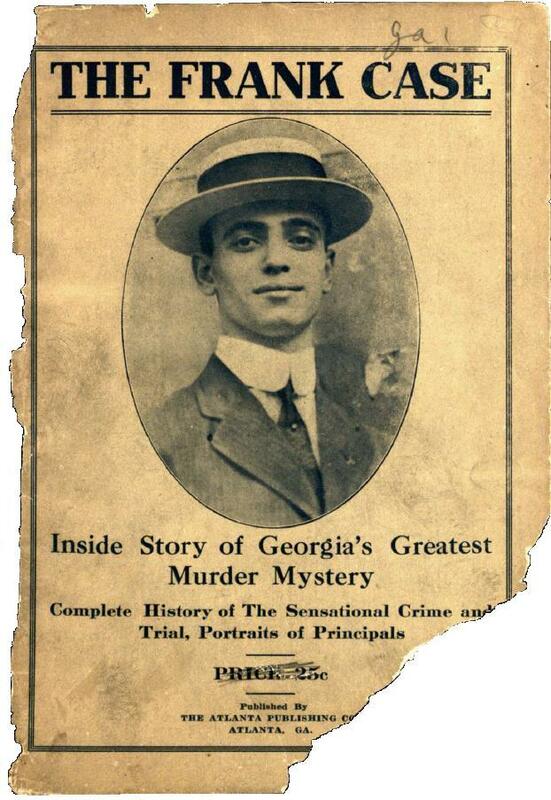 The Leo Frank Case, 1913, was published shortly after the murder trial and conviction of Leo Frank in 1913. Guilty or Not Guilty? by Francis Xavier Busch. This 1952 book tends to lean on the side of Leo Frank, but also points to some of the strong evidence against him. It offers a lot of balance for and against Leo Frank. There are some errors in the book that will be fleshed out later, but it offers a good read on the case. 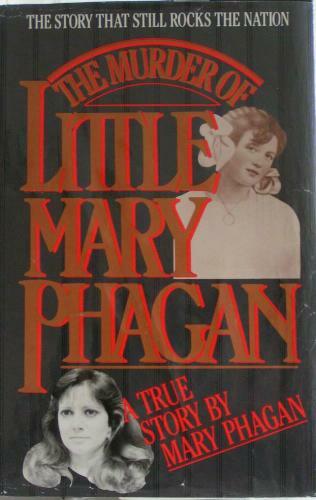 Surprisingly, Mary Phagan Kean, the great grandniece of the murder victim Mary Phagan, tried to be open-minded in her book published in 1987/1989 called The Murder of Little Mary Phagan (which is available for download on archive.org). Whether or not her open-mindedness and neutrality could be accused of being crocodile tears in disguise is debatable, but she at least made the best effort of every writer who produced a secondary book on the subject. Where’s the admission that amounts to an incriminating statement? The best thing one could do would be to pretend one is an Appeals Court Judge and draw his or her own independent dispassionate conclusion on the Leo Frank case, but this requires one to do extensive research, reading, and studying all the original legal documents, newspaper articles, and archival documents, which are now available online thanks to the hard-working people who scanned these materials and put them on the Internet. 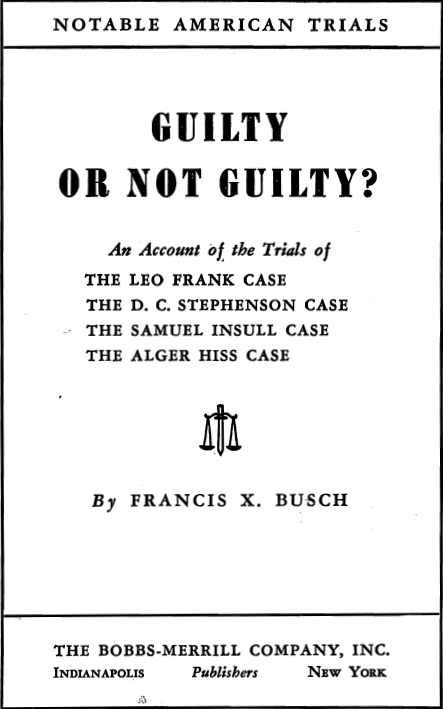 In the process of one making their own conclusion about the guilt or innocence of Leo M. Frank, one can start by first reading the official 1913 Brief of Evidence, ratified by both the Prosecution and Defense: Leo M. Frank, Plaintiff in Error vs. State of Georgia, Defendant in Error. In Error from Fulton Superior Court at the July Term 1913. Brief of Evidence 1913 and the entire Georgia Supreme Court Legal Archive of the Leo M. Frank Case, which in total is 1,800+ pages (available on www.LeoFrank.org). Read the abridged closing arguments of the prosecution lawyers Mr. Dorsey and Mr. Frank Hooper, followed by defense lawyers Luther Zelig Rosser and Reuben Arnold, which are captured in Lawson’s American State Trials Volume X (1918); third, study the Murder Trial Arguments of Hugh M. Dorsey (published in 1914) as a stand-alone book; fourth, review Argument of Reuben Arnold (published after October 1913) as a stand-alone book; fifth, read The Leo Frank Case (1913), by Anonymous; sixth, read The Murder of little Mary Phagan by Mary Phagan Kean. And once you have studied those documents carefully, compare them with all the contemporary writers on the subject, and then finally, the last thing you should read is Tom Watson’s August, September, and October 1915 analysis of the Leo M. Frank case. Compare Watson’s works against all the contemporary writers on the subject who take the side of Leo Frank and then draw your own conclusion. Be sure to also read what the newspaper articles from the time reported as well. All of this information is contained within this website. Get ready for one of the most enthralling cases in U.S. history. The Brief of Evidence in the Leo M. Frank 1913 Murder Trial has been ratified by both the Leo Frank Defense and Prosecution Team. Leo M. Frank, Plaintiff in Error, vs. State of Georgia, Defendant in Error. In Error from Fulton Superior Court at the July Term 1913. Brief of Evidence. Extremely rare, only one copy exists, and it is at the Georgia State Archive.